With ever-increasing lens options and style choices, shopping for eyeglasses can be overwhelming. Choosing a pair of eyeglasses for yourself can be quite a demanding task on its own, but trying to pick the perfect pair for your child is even more challenging. Fortunately, Vienna Eyecare Center is here to share several tips that can help you select the right eyeglasses for your child. Most kids are highly energetic and extremely curious, fueled by the drive to explore their surroundings. Needless to say, children are bound to damage or mishandle their eyeglasses, especially during playtime. For this reason, the frame material should be sturdy and able to withstand constant manual adjustment. Look for flexible frame materials such as plastic and bendable metal. Scratch-resistant lenses are also a must. It’s also important to take comfort into account when choosing eyeglasses for your child. Be sure to make special note of the way the frames rest on your child’s temple and nose bridge, and don’t forget to check the fit of the eyeglasses behind their ears as well before making a decision. After your child’s eye exam is complete and the glasses you ordered are ready, the optician will perform a fitting to ensure a perfect fit. Since your child’s eyes are still developing at this point, it’s extremely important to protect their eyes from harmful elements such as ultraviolet rays from the sun and blue light from digital devices. Luckily, a majority of eyeglass lenses now have special coatings that offer protection from these damaging factors. Special accessories that you should consider include lanyards, which can help prevent misplaced eyeglasses. Keep in mind that some kids might not be a fan of this particular accessory, in which case you can choose non-slip frames instead. The perfect pair of eyeglasses can help your child see the world better while maintaining a high level of comfort. 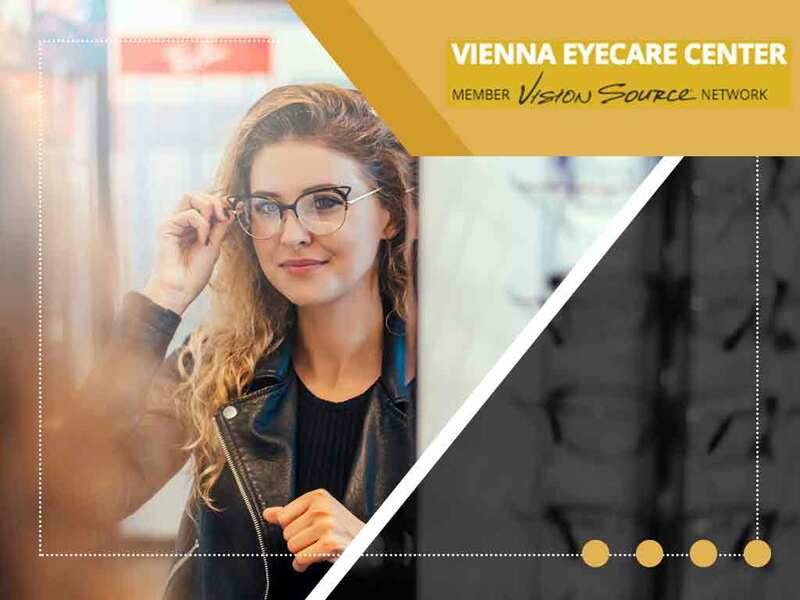 As your preferred eye care clinic, Vienna Eyecare Center takes pride in our wide selection of stylish and functional eyeglasses for kids of all ages. We also offer contact lenses. Call us today at (703) 938-7633 to schedule an appointment. We work with patients in Fairfax, Reston, and Tysons Corner, VA.